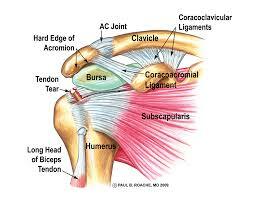 As you can see from the image above, the shoulder joint is a very complex joint. In fact, each shoulder blade has 19 different muscles that attach to it in some way. And that’s just muscles! That does not include all the ligaments, nerves, blood vessels and bursa that also inhabit the area. Your shoulder has the capacity for many degrees of freedom, and since it can move in all sorts of directions and ways, it can also be pretty unstable, and is susceptible to poor mechanical habits. First we’ll look at mobility exercises. The muscles in front of the shoulder tend to get tight, but the rotator cuff is also a likely culprit for over-active and unbalanced muscles activity. When we consider mobility, we want to think about freeing up the more tense or over active muscles that may be causing a restriction in the range of motion of the shoulder. 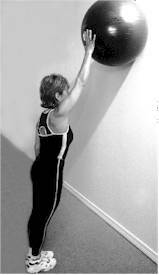 Standing near a wall, place a ball between you and the wall (just inside of the point of the shoulder joint). Push into the ball and move it around a bit, focusing on tender areas. This can help to release tension in the front of (or anterior) shoulder. Using the same technique as above, roll the ball between you and the wall on the side of your body (just below your armpit). 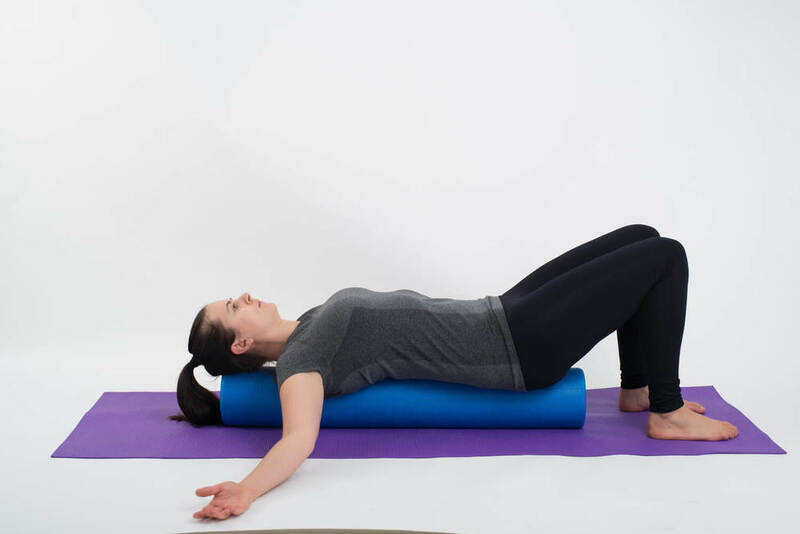 If you are using a foam roller, lay on your side on the ground, arm above your head and roller at about the armpit level. Again, using that same ball, place ball between you and the wall, but this time on your upper back in the space between the shoulder blade and the spine. Focus on tight areas. 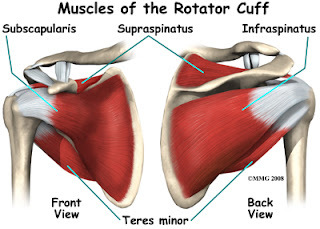 You may wish to bring ball higher on your back to get into the upper trapezius muscle fibers. These focus on opening the chest, and in particular, the pectoralis muscles. 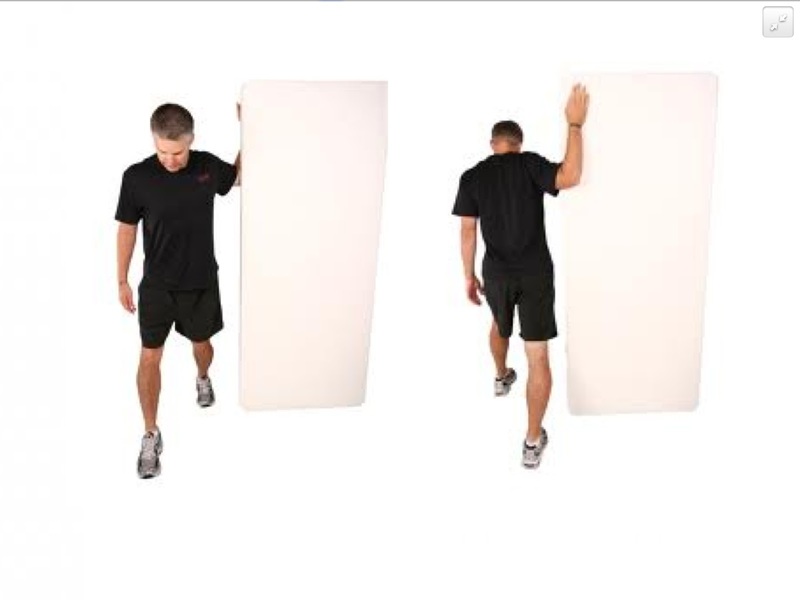 This can be done against a wall or doorway, or on a foam roller (as below). Exactly what it sounds like, grab an exercise ball and roll it up the wall as far as you can. 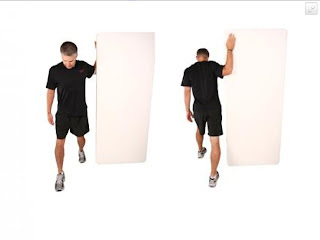 You can do this on one side at a time or both arms together. The other piece to our shoulder puzzle involves stability of the joint as well as motor control of the surrounding muscle tissue. Resting your hips/abdomen on a stability ball, raise your arms in an I pattern (arms above shoulders), a T (arms level with shoulders), Y (similar to I, but arms slightly outspread from head) and W (with elbows bent and hands around shoulder level). Move slowly and use gravity as your resistance. 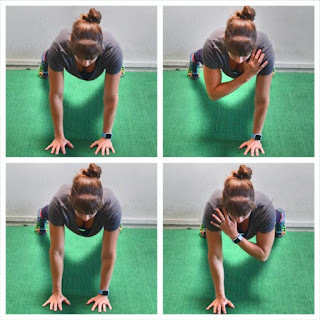 This may not look like much at first, but it challenges all the small muscles around the shoulder joint to work together to stabilize the shoulder joint. 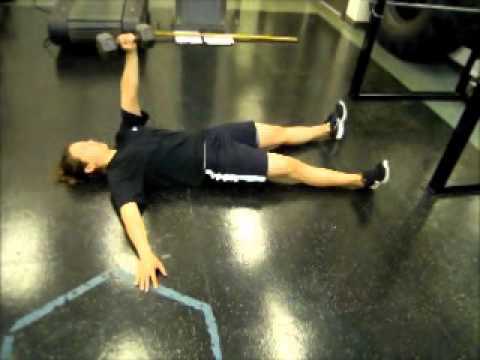 Laying your back, lift a somewhat heavy for you (you want it to be challenging, but not feel like your arm will buckle under its weight) dumbell or kettlebell straight up to the ceiling. Try not to lock your elbow in place too hard. Hold this position and try to keep the weight right over the shoulder joint. Not as easy as it looks hey? Yogis are all too familiar with this one. 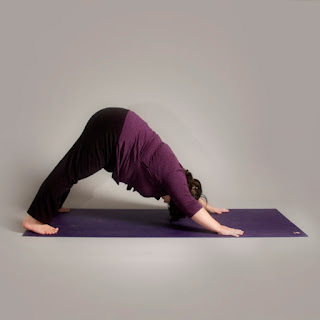 Done properly and with good technique, the downward dog yoga pose can be an excellent means to build shoulder stability. This will require that you already have adequate mobility in the shoulder joint. In this position, keep fingers wide and do not lock your elbows. Think about sliding shoulder blades down your back, but not sinking into the shoulders (you should feel like you’re pushing the ground away). Hold this position. Oh yes. I’ve said it once and I’ll say it again – physios love planks! They challenge so many muscles at once; they are an excellent tool. In your plank, make sure your spine and head are in natural alignment (do not collapse in your head or low back). Do not collapse into your shoulders. You want to feel like you are pushing the ground away. Then push it all the way away (this is the plus position). The plus position pushes your shoulders blades away from one another and engages your serratus muscles which help hold the shoulder blade (or scapula) in place. For an added challenge, try alternating bringing a hand to touch the opposite shoulder. These are of course just a small selection of available exercises. For more ideas and for an individualized shoulder performance plan, please see your physio!